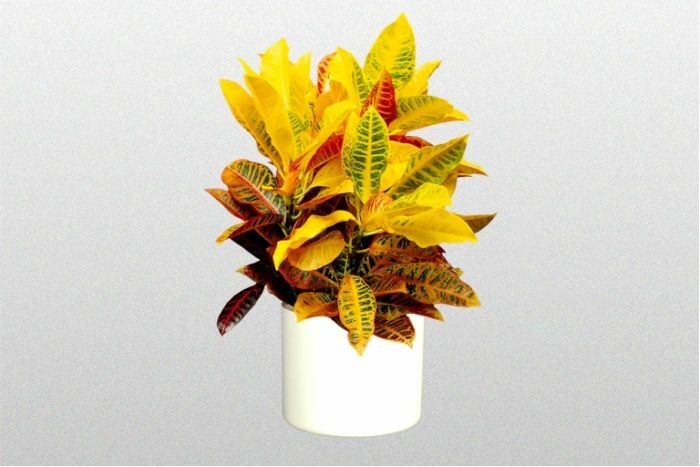 A croton has beautiful leathery leaves that come in various shades of yellow, red, orange and green. It is a high light plant that should be kept a little moist but never soggy. Crotons are susceptible to spider mites. Keeping your plant clean with a mild soapy solution will keep most pests away. A croton makes a lovely floor or table plant. LIGHT AND TEMPERATURE: Good light and warm temperatures are neccessary. WATER: Water well during spring and summer, slightly less in winter.